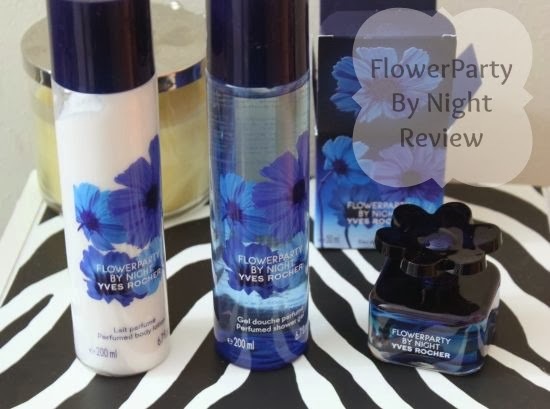 Yves Rocher has beautifully scented perfumes and the Flower by night is no exception. This line is cruelty free like all of the products they offer, which is lovable on it's own, but look at the beauty of the packaging. I love the deep blue. That in itself is a sight that I love to photograph. Yves never seems to fall short in the packaging department. I just love their style. Sophisticated, simple, and never over the top. I know I know, I gush about presentation a lot, but can you blame me?? We have to stare at these things all the time. We want them to be pretty. I have had the chance to try several scents from Yves now and I would have to say that this particular one outweighs them all in uniqueness. FlowerParty By Night's second new and improved edition is a very sweet, floral and spicy scent, perfect for those late nights out or a romantic date. After die down, it's plenty sweet, but with a little more spice that comes through. This is my first time trying a perfume on the more spicy side and I really enjoy it. The Lotion and Body wash smell exactly like the perfume and often times that is not the case. It is well duplicated. The lotion contains NO parabens and is enriched with Organic Sesame oil. It left my hands very soft. The Body wash also contains NO parabens and is enriched with Organic cornflower water. This paired with the lotion really left me silky smooth. The perfumes are quite strong so you won't have to worry about it fading any time soon! It's a treat to layer all 3, so you'll stay smelling sweet and spicy all through the day and night. FlowerParty By night is definitely getting the sign of approval for my Gift Guide. Right now, you can grab the perfume for $29 lotion for $14 and body wash for $11. All very reasonable prices for what you get! 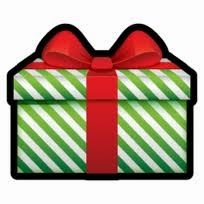 I can't wait to share all the goodies I get to review for you during the Holidays. They are exceptionally nice this time around. Think fruity and spicy. So yummy! Stay tuned for more!